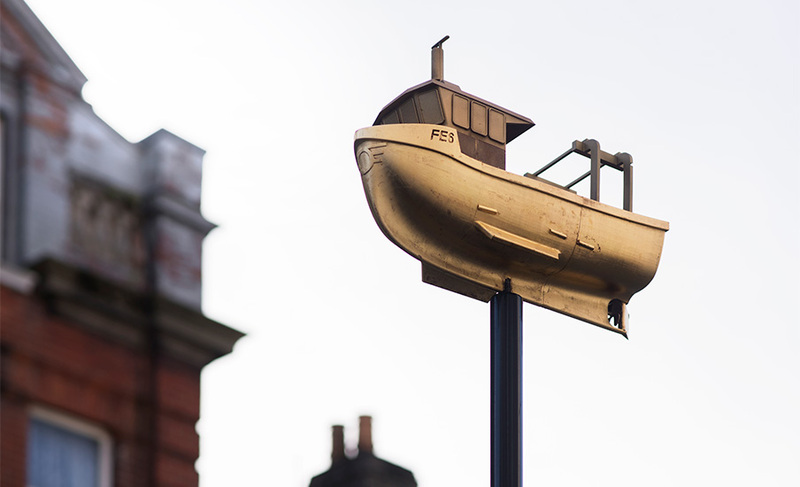 ­­­­Tontine Street was built over the tidal inlet on which Folkestone as a fishing village first developed. 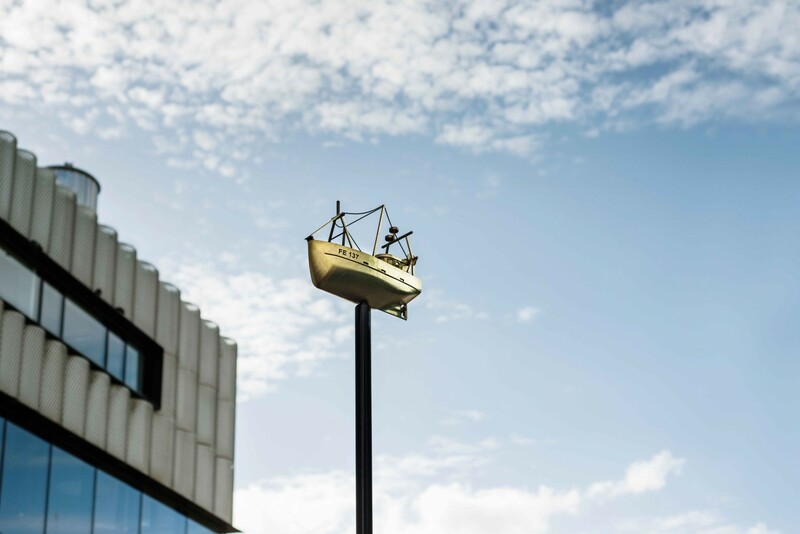 The fishing fleet consisted of seven boats when the town was nominated a tributary ‘cinque port’ to Dover in 1299. 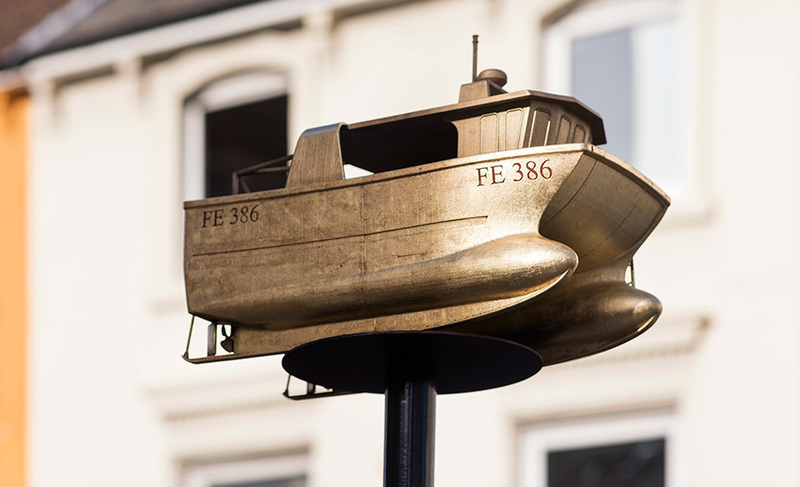 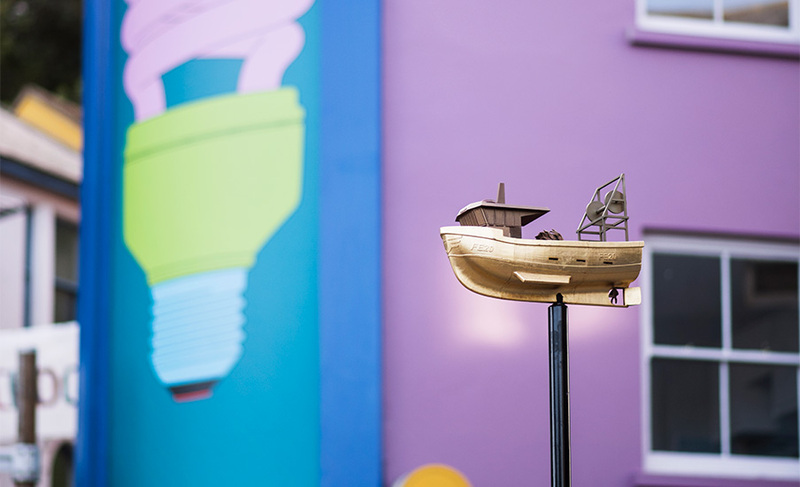 The artist’s research into the historic waterways of the town has led him to make an artwork to celebrate the seven fishing boats currently licensed in Folkestone Harbour, as well as three boats licensed elsewhere but operating out of Folkestone. 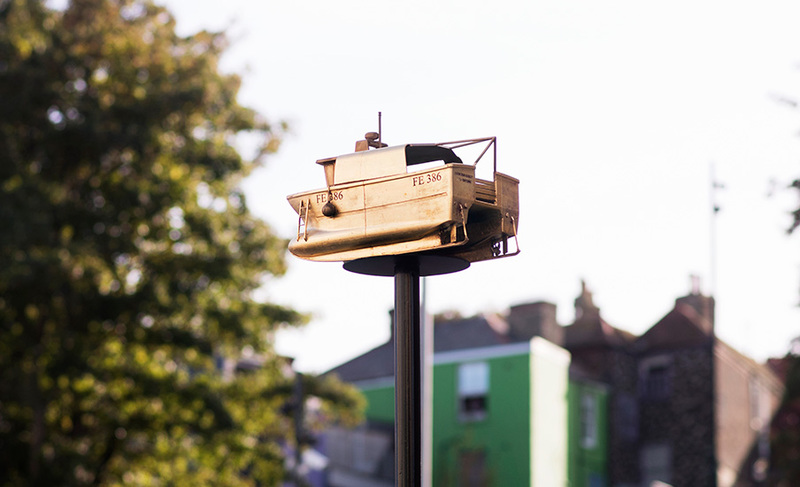 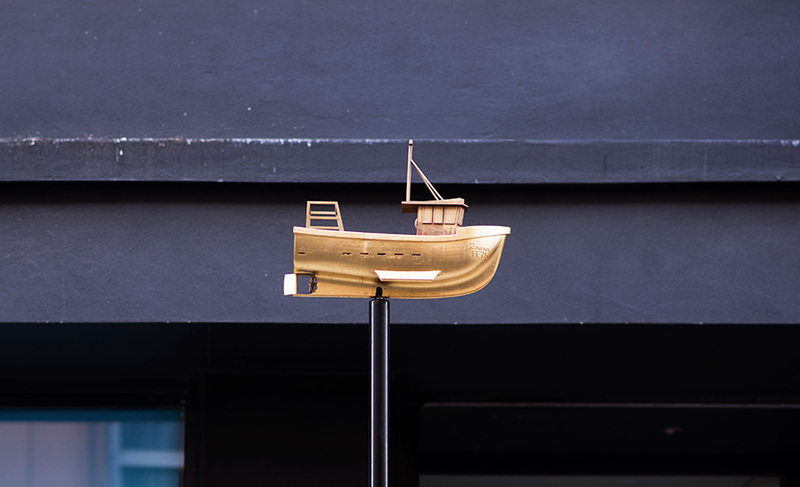 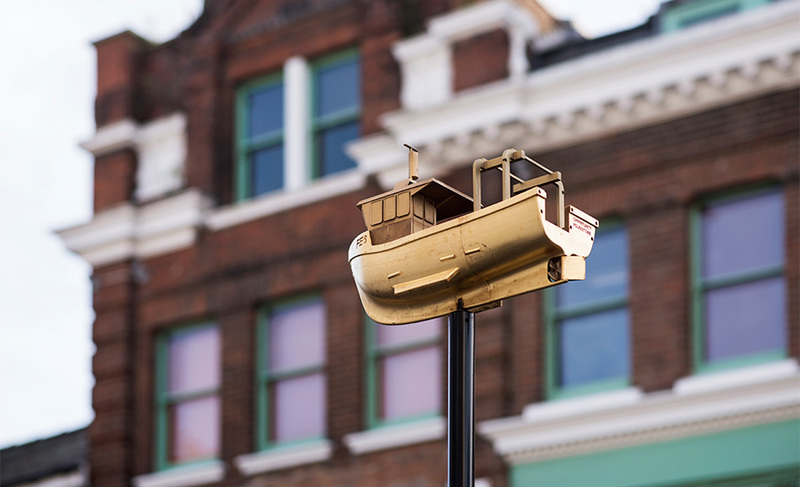 Gilded replicas (3D printed) of these boats surmount poles that carry information about each boat, tidal times, and other references, such as Plimsoll markings, found on shipping all over the world (Samuel Plimsoll died in Folkestone in 1898).